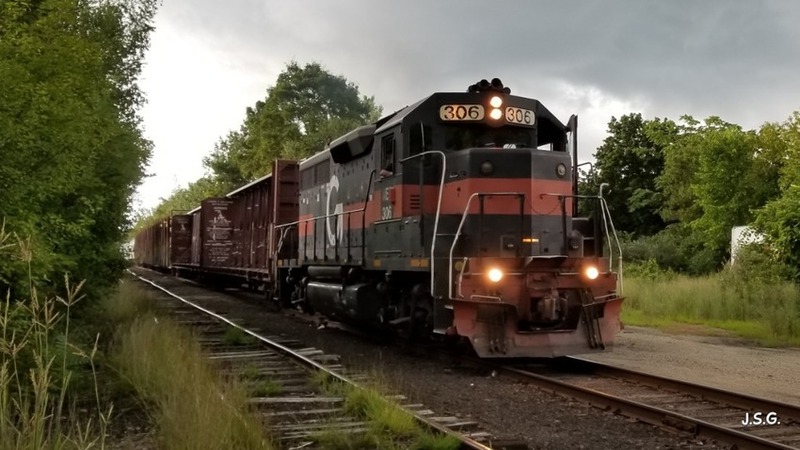 Usually the sun always shines when Pan Am comes to town ;-) but not today as those low hanging storm clouds let loose thunder, lightning, and sheets of rain about a minute after this picture was taken just to the south of the yard tower in Concord NH. MEC 306 is the current power, one of only two remaining Pan Am locomotives with New York Central heritage. 306 was built in 1967. Photographed by Jay Gadon, August 3, 2018. Added to the photo archive by Jay Gadon, August 4, 2018.